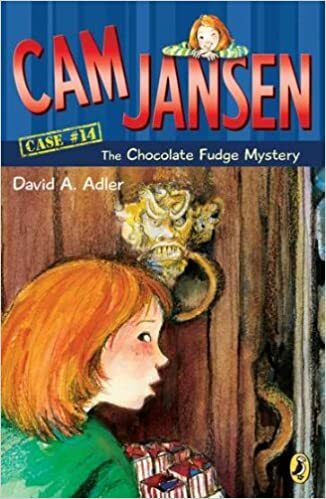 Mysteries follow super-sleuth Cam Jansen everywhere she goes...even while selling candy door-to-door. Cam and Eric are knocking on doors to sell candy for their school fund-raiser when Cam notices that there is a full trash can outside of a house that is supposed to be empty. Could someone be hiding inside? Cam is going to find out!